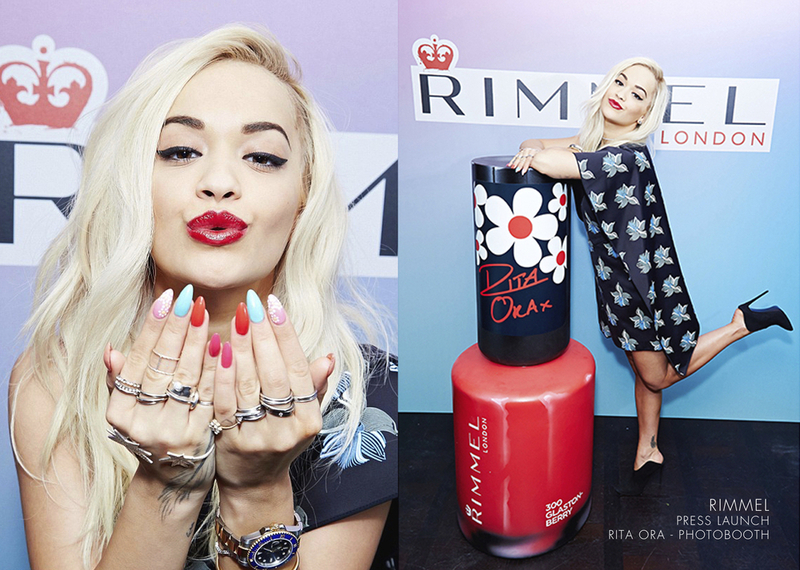 RIMMEL CASE STUDY, RITA ORA PHOTOBOOTH, BRANDED PHOTOBOOTH, SET BUILD, SOCIAL MEDIA PHOTO BOOTH, GIF BOOTH, instagram print station with instant printing for events and twitter printer hire. Hire a hashtag printer, hashtag print station to buy. Actress and model Rita Ora got up close and personal with some of the giant nail varnish bottles we made for the launch of her latest make-up range for Rimmel at the Ace Hotel in Shoreditch. This was a high profile event for our client Coty In, who had invited leading journalists from all over Europe to attend their press event. 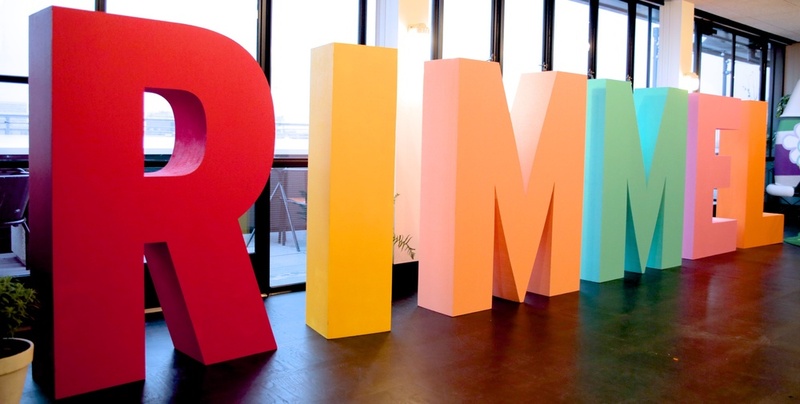 To create stand out branding for them we produced large Rimmel letters made in polystyrene with each letter painted in one of the hero shades from the new range. 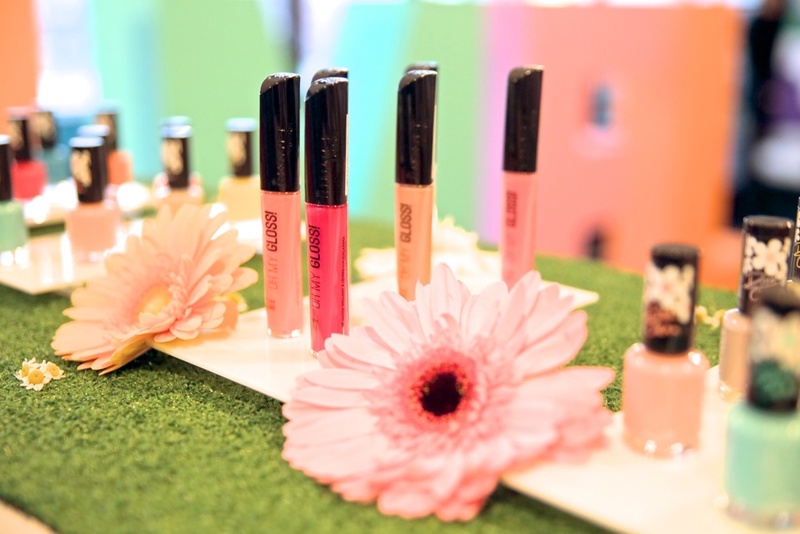 This was part of the set for our immersive Rimmel Photobooth. "Thank you once again for this great PR day! You helped us tremendously in pulling off a seamless and harmonious event. The journalists were absolutely thrilled by their day in London and their interview with Rita. And thanks to your splendid decoration we have already had some great tweets and Instagram posts all over the world!" - Coty Inc.